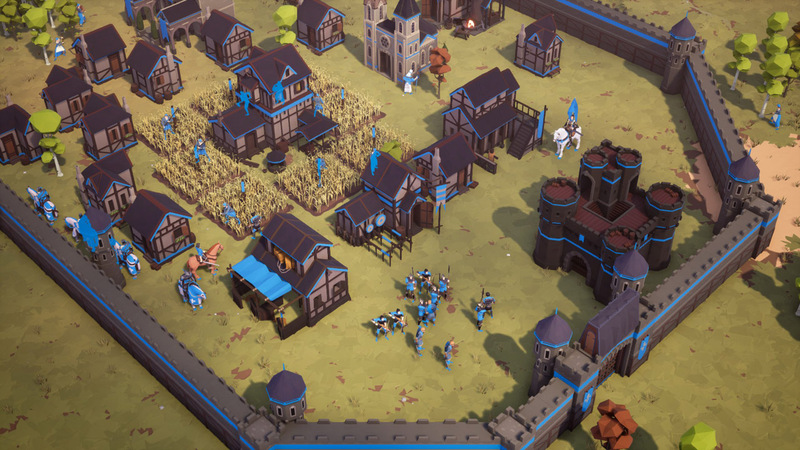 Empires Apart is advertised on Steam as “a multiplayer focused classic RTS, brought to the modern age.” Well, it’s all fine and good to aim for nostalgia with a modern twist, since all of the best RTS titles are decades old, but it’s a tall order to fill. The game needs to have all the best familiar mechanics and enough originality to justify downloading it instead of one of the recent remasters of the RTS greats. The devs (mostly) understand what was great about RTS classics. 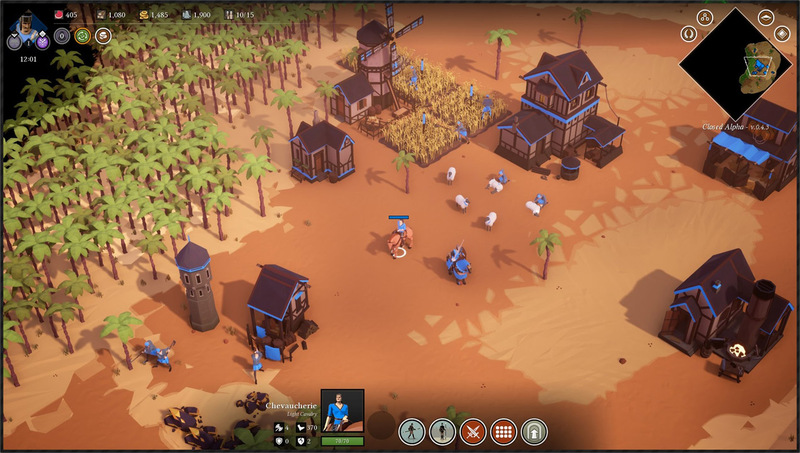 From the medieval setting, to the races, tech trees, and music, Empires Apart feels very familiar. It’s clear that the devs especially put a lot of effort into the soundtrack, since they offer it as DLC, and it has a lot of the same adventurous instruments and sounds as AOE2, from haunting flutes to epic horns. On the one hand, this is a good goal to shoot for, but on the other, is it really smart to call comparisons to such an insanely successful franchise and risk falling short of that kind of quality? But that doesn’t mean Empires Apart is immediately a write-off, it just means this title needs to face the same questions that all nostalgic media does. In the case of Sonic Mania, for example, fans managed to create something that both pays homage to the original and adds to it. 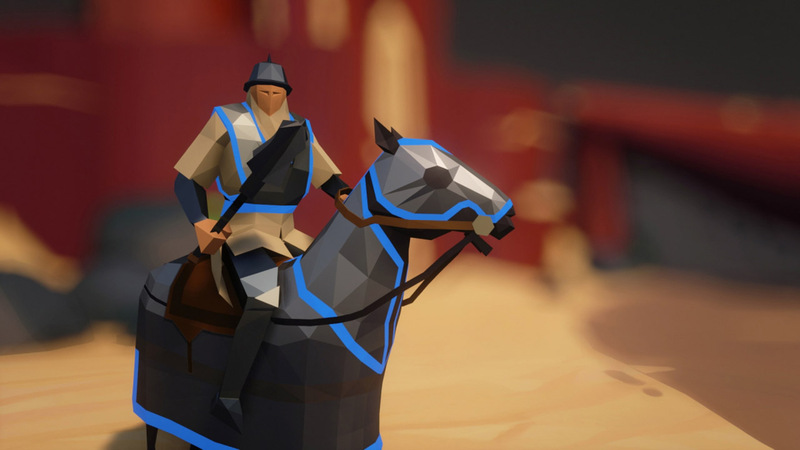 Empires Apart jumps right into nostalgia with their choice of races, since most of them appear as the protagonist (and antagonist, at times) of their own campaigns in AOE2 and The Conquerors expansion. True to our memories, Empires Apart gives similar racial advantages, such as a powerful crossbow appearing in Chinese hands once again. So far, so good; It just wouldn’t feel right to RTS fans if the Chinese special unit was a horse rider, like in Civilization III. Then, when you begin playing with the tech trees and mechanics, things start to look eerily recognizable. Just like in AOE2, the resources needed for everything are food, wood, stone, gold, and there’s that same population cap of 200. As in the original, you start with a town center, three villagers, and a scout. As the scout explores, he stumbles upon sheep that come under your control when he gets close enough, and players of AOE2 will further recognize that the villagers can also harvest berries, deer, or wild boar (and yes, you need more than one villager to tackle the boar or he will kill them, as it always was). It’s difficult to describe just how similar the mechanics and feel of Empires Apart are to AOE2, because each of these elements can and has appeared in other strategy games. But as reviewers, developers, and gamers deep in debate at cafeteria tables have discovered, games are more than the sum of their parts. It’s an ongoing challenge to define the essence of what makes a game what it is. 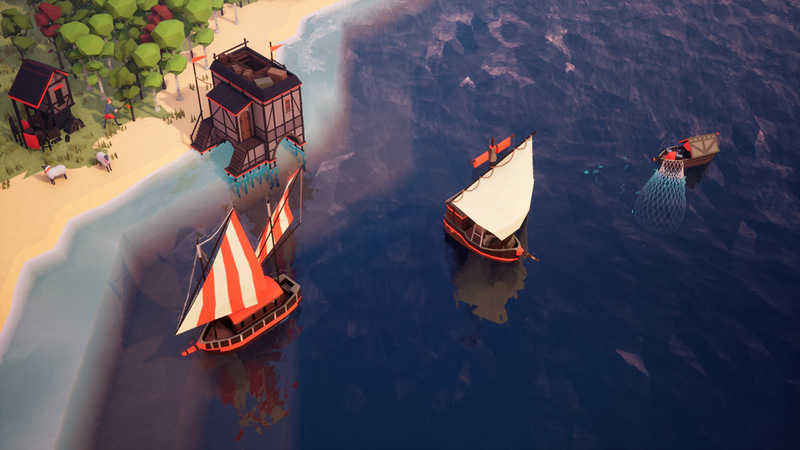 I’ve played the Age of Empires series — especially the second one — more than all other games combined, so I know what it feels like, and Empires Apart seems to be trying to capture and improve upon that same AOE feel. So, what makes this game different? There are a few key differences from AOE2, and the most noticeable is the artwork. Empires Apart goes for a more abstract, cartoony, large-polygon art style with a slightly pastel palette that gives everything a more serious tone. It looks nice and it makes identifying what belongs to who very easy because of the liberal application of team colors (although allies are the same color as you, which is really confusing). However, this art style also makes it difficult to differentiate between types of units, especially at night when the pastel colors all kind of blur together. That brings me to the next difference: There is night and day. We have seen this mechanic in another classic RTS: Warcraft III (WC3). However, in WC3 night and day affected other mechanics. Night Elves could become invisible at night, and their moon wells filled up in the darkness. There seems to be no reason for night and day in Empires Apart other than Survival mode (another new addition) in which hordes attack every night. In normal Skirmish games, night only really serves to make things harder to see and more gloomy. Speaking of WC3, Empires Apart also hearkens back to Blizzard’s RTS titles by allowing the Mongols to move their base structures. In fact, each race is, on paper, more differentiated than those in AOE2 in a way that Blizzard was always best at. For example, many races upgrade their units by buying ranks at their production building, but others (like the Aztecs) gain experience in battle. All of these differences are a good start, but they actually don’t go far enough to overcome the shortcomings of the ambitious task of mimicking the giants of the genre. If the goal is to take great ideas and combine them with new ones to make the ultimate classic RTS, Empires Apart sadly falls short. Because there are also negative differences. Bear in mind I only played the beta for Empires Apart, but it has a long way to go to make a successful release. Unfortunately, all the fixes needed are finicky bugs. For example, there is motion-blur when you move the camera or when characters move, which is intentional (presumably for a more modern aesthetic), but it always seemed timed wrong. I’m not sure if my fiddling in settings ever actually fixed it in the end or if I just got used to it. And on the topic of blur, some characters’ pathing is glitchy, especially around trees, and if they get caught between two trees they will just rush back and forth infinitely, becoming a greasy blue smudge on the screen. There are other small glitches like this. I once clicked on a food source to figure out what exactly it was, and it was listed as a “gold mine”, but one that produced food. Villagers also have a pretty low range for detecting more of the resource they’re gathering, and will, for example, stop hunting when they can’t see the other deer standing a few feet away. Then there are larger bugs. The AI is pretty bad in general. Computer opponents will walk through their opponents’ bases to attack you, then decide to retreat for no reason. If there are enough computer players, this indecisive behavior will lead to them chasing each other across the map in strange rivers of troops, since there seems to be no limit to how far they chase enemies. Bad opponent AI is somewhat forgivable since this is intended to be a multiplayer-focused title, but that means it needs to facilitate skilled micro and macro game. Unfortunately, this is the biggest downfall. Clicking on your characters is a little difficult and imprecise, and indispensable features (like double-clicking to select all of one kind of unit on screen, or dragging a selection box to select a group of characters) are all but nonexistent. I know these gestures are intended to work, because I successfully used them about one time each. The rest of the time, I just became more and more frustrated until I gave up. Stories and lore are the secret ingredients. Finally, there are the things the developers missed when it comes to what made the classic RTS titles great. Stories and lore are the secret ingredients when it comes to these immersive titles. The strength of both Dawn of War and Warcraft is they have limitless backstory across multiple media platforms. In the case of AOE, it was history that grounded it, but it wasn’t just the mechanics of different races – something that Empires Apart correctly picked up on – it was also the in-game descriptions of different technologies and units, the bits of history when researching which race to choose, and, above all, the skillfully-narrated campaigns. As of now, Empires Apart has no campaigns. It does have a tutorial starring Joan of Arc, but unlike AOE, this tutorial is bare-bones, teaching you essentially what an RTS is and leaving out any narrative structure. That is a pretty good metaphor for why the game as a whole misses the mark. Empires Apart is the start of something good, but it doesn’t go far enough. It attempts to tap into the nostalgia of classic RTS titles, but it has all the shortcomings that you’d expect from a smaller developer with less resources. The sprinkling of great and original ideas in this title have therefore failed to come to fruition. In its current state, it’s buggy and lacks some fundamental requirements for smooth play we’ve come to expect from the genre.